History on Tap, a craft beer festival held at Conner Prairie, is slightly different than the standard beer festival. 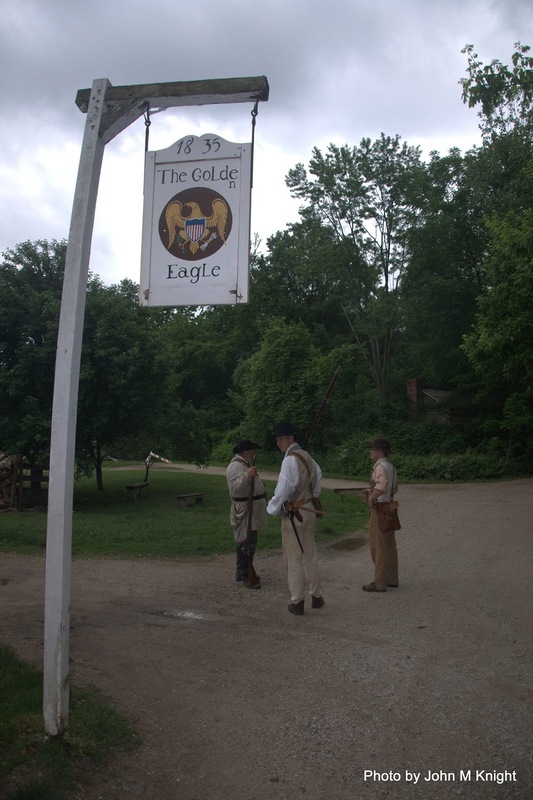 The most obvious difference is that, being held at Conner Prairie, some of the grounds of the historical park are open as part of the festival. History on Tap also has some educational opportunities not available at all craft beer festivals. Prairietown is open through the festival, including the Golden Eagle Inn, where they serve beers made from historical recipes. This year they had a molasses beer, and last year they had a ginger beer (both of which I found to be quite tasty). Tuxedo Park Brewers had a stand set up, where they were giving craft brewing demonstrations. According to the statistics from last year's History on Tap, over one third of the guests had never been to a beer festival before, and almost half only attend one or two a year. I don't have even anecdotal numbers for other festivals, but it seems like History on Tap caters to a slightly different audience, and seems to be good at introducing new people to craft beer. 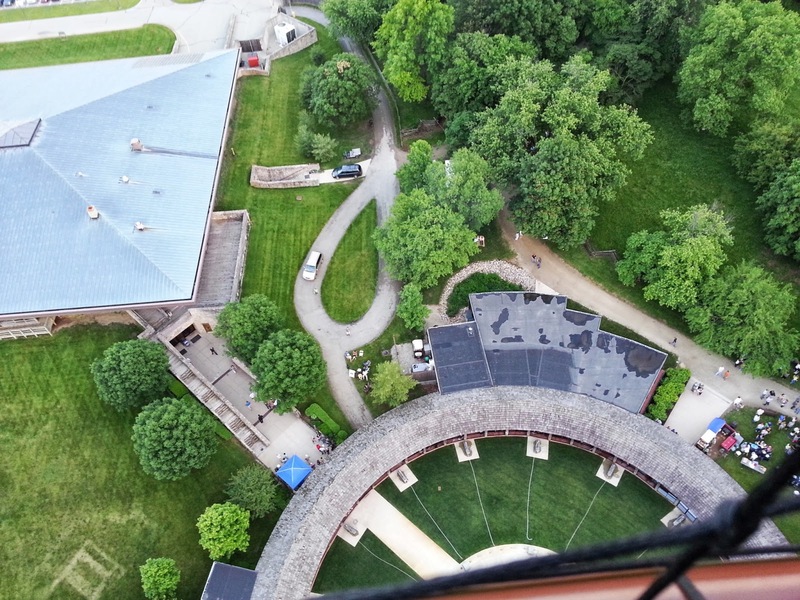 The 1859 Balloon Voyage was also running during History on Tap. The 1859 Balloon Voyage is the largest tethered gas passenger balloon in the world, and having a beer while 350 feet up in the air is quite an interesting experience. Shelby Blue Ribbon - New Day Meadery: This was an excellent mead (like most of New Day's). Sassy Pants Porter - Union Brewing Company: A sassafras porter that is definitely worth a drink. The Big Guy: We had an awesome time at this event. I have never had beer in a hot air balloon, not sure that was on my bucket list but I am pumped that I got to check it off. It was great to see the UBC brew an exclusive beer for the event, and it was cool Flat12 gave us an early premier of the cucumber kolsch that is coming to liquor stores soon. Also, the molasses beer that the folks at Conner Prairie brewed was definitely interesting, and since they gave out the recipe me and Prof, Beer are going to try and put that one together. I think the coolest part of these festivals is getting a unique experience, whether its the brews or how they are presented. This one did a good job on both accounts. Thanks to the Horizon Council for putting this good time together for us.